How do we train the focus of the lens of our cameras on the future? Obviously, budget will force us to show sparingly pieces of the visual future we imagine. Our careful futurism strategy will keep our creative conceits in check and be a challenge for producers, writers directors and actors. -50 | 0 | +50, our method of careful futurism, compares the change in POV from 1964 to 2014 and then uses it as a governor for predicting what the community will be like in 2064. We are filming stories that take place 50 years in the future, as well as flashbacks to today and 50 years in the past. That means we’ll be looking back as much as we look forward. When we have looked back, we have noticed that many parts of the city in 2014 look similar to the city in 1964. We believe that “visually” much of the city will look similar in 2064. This will force us to choose our scf-fi effects carefully. In 1964 we had already been warned about global warming and the military industrial complex, but we ignored the warnings. And we were about to fall into a 50-year deep sleep that allowed corporate capitalism to destroy all the gains made by unions and the New Deal earlier in the century. In 2011 Occupy Wall Street woke some of us up. In 2014 Ferguson may have jolted more of us out of our sleep. What will it look like when we save the planet from global warming? Dismantle the new gilded age? And save — even expand — our fragile representative democracy? The stories of Gateway-TCR unfold on a stage where that has happened. And, “how we get there” is a major story arc. Stories, film and television can help people bridge the gap between what is now and what is possible. Gateway: the City’s Reason envisions a future with mostly positive outcomes – where good old American optimism touches everyone. That’s the stage on which Gateway stories take place. And we think it’s a stage that citizens should see more of today. Don’t think we can solve global warming, the plutocracy of corporate capitalism or the destruction of our representative democracy? We do. And Gateway-TCR envisions it. Gateway will also tell the story of how we get there. 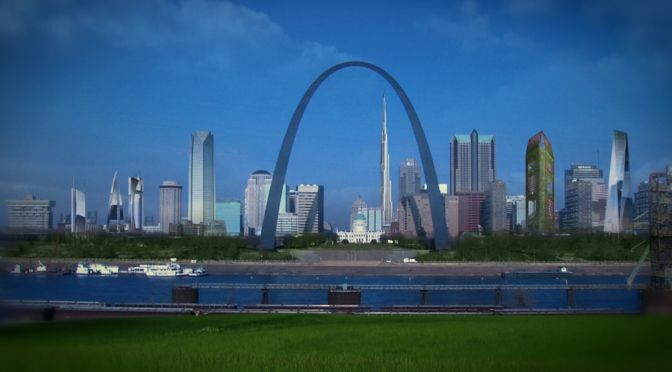 Why couldn’t St. Louis be the Gateway to future as it was a Gateway to the west? 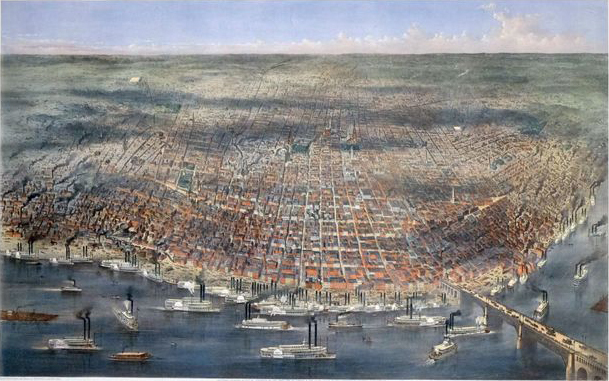 Of course, 19th century expansion was misguided in many ways. And “expansion” may not be the smartest way to think about the future. So our memorial, the 630 foot Gateway Arch at the Museum of National Expansion might need to change its name to the Gateway to the future. Why not learn from our mistakes as well as our successes? A series Bible is a reference document used by writers, directors, producers and actors for information about characters, settings and other elements of the show. In many ways, we are only beginning our research into what a sustainable city will be like in 50 years. Even so, we’ve decided to publish portions of the Gateway-TCR bible in order to share the foundations of Gateway: the City’s Reason with you. We want to describe “the stage” upon which our stories will be told and we welcome your ideas. How it could be and how we get there. Be a part of a sustainable future! Sign up for our monthly fan newsletter and receive information about the TV series, graphic novel, e-book short stories, special promotions, contests and prizes. Thanks! Since we only want "real viewers & fans" to sign, please enter the letters or words you see in the box below.